Well, if you’re going to buy ONE new release LP on a major record label this century, you might as well make it one recorded in 1976, y’knowwhatImean? 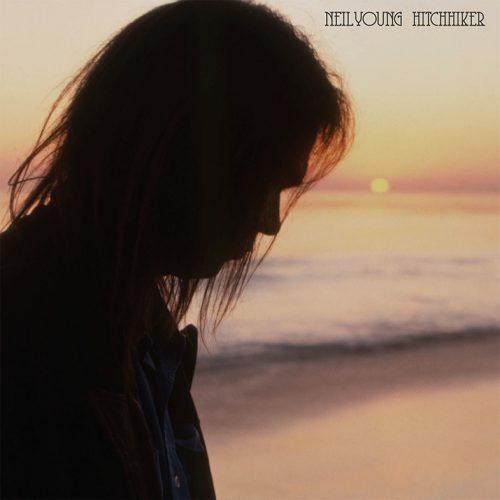 I’ll freely admit I’ve been on a colossal Neil Young binge through the second half of 2017, after finally getting around to reading Jimmy McDonough’s biography (one of the best – and most epic - music books I’ve ever read, no jive) left my head spinning for weeks with thoughts, theories, ideas and anecdotes concerning the mercurial, flawed genius of Mr. Young. And, as such, this much-ballyhooed release of the entire legendary one mic demo session that gave the world such sublime previously released cuts as ‘Campaigner’ (on the ‘Decade’ compilation) and ‘Captain Kennedy’ (from ‘Hawks & Doves’) felt like manna from heaven to me a few months back. After all the ludicrous new releases and questionable archive choices Neil has put out in the 21st century, I wouldn’t blame anyone for approaching new product bearing his name with caution, but take it from me: this is the real deal. Although the records Neil actually released between ‘75’s ‘Zuma’ and ‘79s ‘Rust Never Sleeps’ may not be amongst his best-loved or – cough – ‘most iconic’, I nonetheless think that this period probably represents his all-time peak, artistically speaking, and we’re right on the cusp of it here. On the particular evening these tracks were laid down, it seems he sat down with his guitar and some, uh, refreshments, and - as late producer David Briggs quotes Neil as joking in the promo blurb for this record – he just “turned on the tap”. Neil had certainly gone through a hell of a lot of “life experience” by the time the second half of the decade rolled around, and both the sometimes cloying naivety of the ‘Gold Rush’/’Harvest’ period and the corresponding gory nihilism of the ‘Tonight’s The Night’/’On The Beach’ burn-out had come and gone by this point, meaning that, whilst the songs here retain the sublime melodic gift and ineffable ‘spook’ that characterised his work throughout the decade, his writing has more depth, more cynicism and ambiguity, more variety and imagination, more flat-out *weirdness* to it than anything he did before or since – a mixture of raw autobiographical fragments and cosmic flights of fancy that never fully settles down into any recognisible comfort zone, mixed with a perfect, poetic take on America’s history and it’s lost, post-Watergate drift, with a steely-eyed hustler’s determination to not get fucked by it. I could go on; I could give you a song-by song break-down, keep this going for four thousand words, but what would be the point? I recognise that Neil Young fans are one of those strange breeds whose tastes seem to function on a slightly different wave-length from the rest of humanity – as such, chances are you’ve either got this already and know exactly what I’m talking about, or you don’t care. If you are a Young-fancier and this release has somehow eluded your attention though, please rectify that immediately. I hope readers won’t think it’s just some morbid retro fixation taking hold when I state that the best music pressed to vinyl in 2017 was recorded by some washed out hippie snorting coke in a shack on Maimi beach half a decade before I was born, but, what can I say – there it is, take it or leave it.